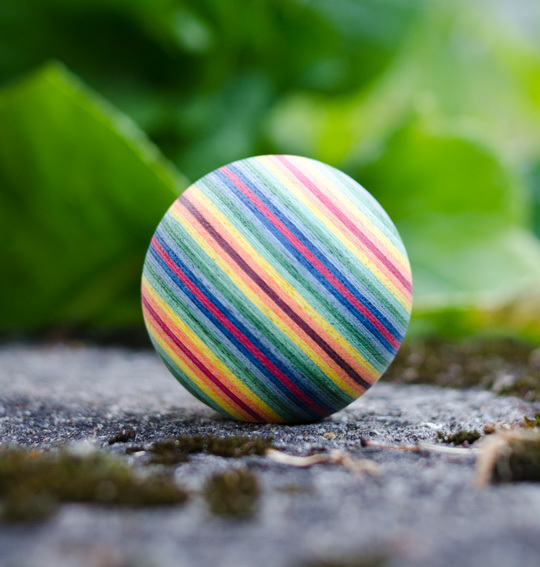 You have a unique chance to buy one of the first pieces of new tama from SunRise Kendama, SunRise STRATA tama. It is a special tama made of colored plywood. The weight of the tama is around 83 g.